Positive, determined. Dynamic and powerful Pop tune for piano solo. 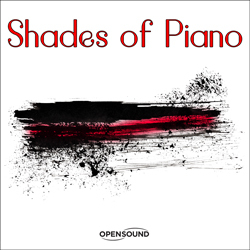 Evocative and nostalgic ballad for piano solo with a sentimental atmosphere. Intense and passionate ballad with expressive themes and arpeggios for piano solo in a New Age and Minimalist style. Sentimental and evocative ballad for piano solo. Fast arpeggios and nostalgic melodies in a New Age style. Intimate and melancholic tune for piano solo in a New Age style with a sentimental atmosphere. Positive and hopeful tune with a soothing and confident atmosphere. Intense song for piano solo with an expressive theme developing over marcato chords in a Pop style. 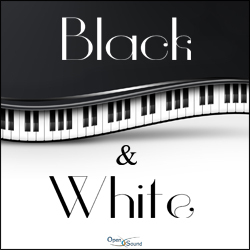 Tender and delicate ballad for piano solo with a nostalgic and sentimental flavour. Introspective and reflective tune in a New Age style with a contemplative atmosphere. Passionate and soulful tune by piano solo in a New Age style with an intimate and evocative atmosphere. Elegant and sentimental theme by piano solo in a New Age and Minimalist style with a romantic atmosphere. Delicate and nostalgic theme by piano solo with a passionate atmosphere. Sentimental and elegant tune by piano solo with an intimate atmosphere in a New Age and Minimalist style. Expressive, nostalgic. Tender and melancholic theme by piano solo with a sentimental atmosphere.